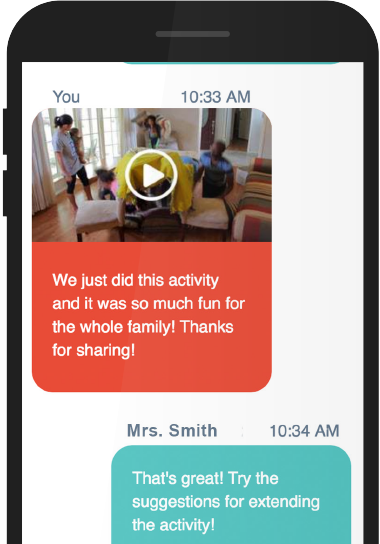 Teachers can use ReadyRosie as their primary communication tool with families and gain insight on student achievement based on families' responses and feedback. 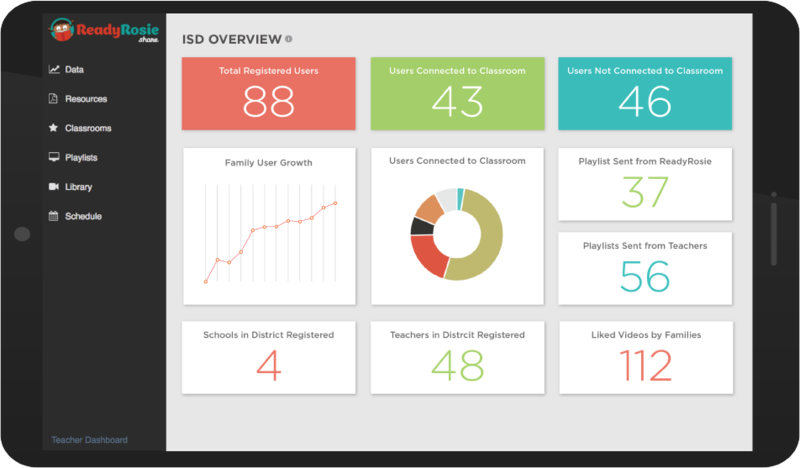 Every teacher and administrator has access to live data that shows the effectiveness of ReadyRosie all the way down to individual family. Learn how to best reach your families by seeing their activity as they use the ReadyRosie playlists and library of videos. Every video in the ReadyRosie video library comes with a “Comment” box right below it. These comments are delivered directly to the child’s teacher. When a caregiver shares feedback in the comment section, teachers can read and respond immediately. ReadyRosie facilitates content-based communication so families and teachers are communicating about the things that most directly impact student success! Other “Family Engagement” products only provide a platform for communication. ReadyRosie provides learning opportunities first, then a way for teachers and families to link arms around each new skill being learned.